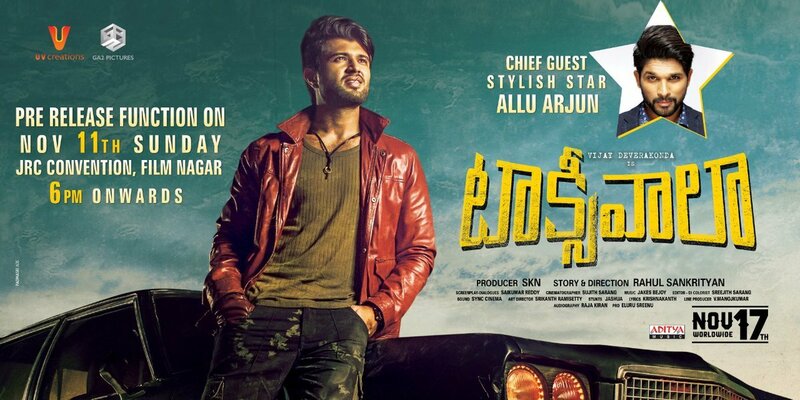 After a disastrous failure at the box-office with NOTA hero Vijay Deverakonda is coming with another interesting concept Taxiwaala. The movie which was postponed and dealt with piracy is, at last, making its way to theaters on November 17th. The movie team has kick-started its promotions and all set for Pre Release event on November 11th. Allu Arjun is gracing the event as Geetha Arts is one of the production banner. However, due to unknown reasons, Allu Arjun has missed gracing Geetha Govindam Pre Release event. Its Priyanka Jawalkar debut movie in Tollywood. Rahul Sankrityan is the director. GA2 and UV Creations banners will be presenting the film. Previous articleఅమీర్ ఖాన్ కు బాగా గ‌ట్టిగా పడిందిగా..